When it comes to organizing your clients businesses bookkeeping records, keeping documentation in order is a must. Here are some simple steps you can take to help keep your accounting organised. If your client mixes up business and private transactions in their bank accounts it’s a recipe for mistakes as well increases your processing time. Try to encourage your clients to always use separate bank accounts for their business transactions and another for their private bank accounts. The cost of business bank accounts these days is very low, and there is no excuse for not having a business bank account. Encourage them to make a weekly or regular transfer of drawings from their business to their private bank account. If your client uses a credit card for your business, try to encourage them to have a separate one for personal transactions. Bank feeds can work really well in speeding up the process of these transactions with the use of Rules. Rules can automate the data processing but having a separate account also makes their bookkeeping and reconciling efficient. Always ensure you have a system for recording whether their customers, clients or patients have paid their outstanding invoices. 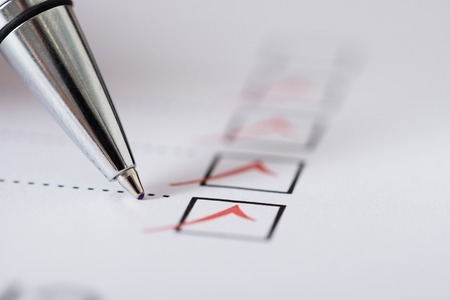 Checklists are a great tool to use to ensure that you are following regular tasks with your clients. Items like investigating old debts that are unpaid need to be done a regular basis. Use features like contacts or notes to record every single contact with their client and their reason for non-payment or indication of when payment will be made. Statements are another great tool that can be produced from most accounting software promptly and emailed to clients. Try to stay away from printing and posting, this is way too expensive these days. Similarly, always have a process for your client’s accounts payable. Most businesses pay their bills on time and EFT payment is the method of 2016 (who writes cheques these days?). Ways to increase efficiency in your client’s businesses it to ensure that your client receives all the bills, initials or marks the bill to be processed and paid. This approval then provides you indication for you to process it according to the payment terms. Ensure the Supplier’s bank details are in your accounting software and prepare electronic transfer files to send the payments to their Bank. This method of processing will also reduce your reconciliation time of the Bank Accounts. Keep all your client’s business paperwork in an orderly fashion. Nowadays you can scan on the paperwork and keep this electronically, either in your accounting software or in a simple electronic filing system using the date system so that everything is filed in chronological order. Keep a separate folder for each month and year. If you’re old-fashioned you can keep the paperwork in physical form, but now so much stuff arrives electronically its pretty daft printing it out and wasting all that ink and paper! Not to mention filing time. Keeping your client’s accounting organised will save them time and money.